WILDWOOD, NJ - International tourism expert, renowned author and CEO of Destination Development Inc., Roger A. Brooks, will serve as the Keynote Speaker at the Spring Small Business Summit... Focus on Tourism set for Tuesday, May 8 at the Wildwoods Convention Center. Brooks will return to the Wildwoods for the third time in seven years as part of a joint initiative between the Greater Wildwood Chamber of Commerce (GWCOC), Cape May County Department of Tourism, Southern Shore Regional Destination Marketing Organization (SSRDMO), Greater Wildwood Tourism & Development Authority (GWTIDA), Wildwood Tourism Development Commission (WTDC) and Wildwood Downtown Business Improvement District (WBID). "The focus of my presentation will be tourism, the Southern New Jersey Shore's primary industry, and downtown - where most of the spending takes place," said Brooks. "I was in Cape May just two weeks before Hurricane Sandy hit, and it was tough to watch the news as it unfolded. It will be great to be back to experience, first hand, how resilient the people and communities are along the shore and to help take Wildwood to the next level," he added. "It is always wonderful and exciting when a group of business organizations can come together with a common goal in mind and work until it is achieved. We have spent over six months planning this event and working on every detail of Mr. Brooks' agenda, to get the most information and guidance from him while he is in town," stated Tracey DuFault, Executive Director of the GWCOC. Cape May County Department of Tourism Director Diane Wieland will start the day and present the annual Cape May County Tourism Report. The Department hosted Brooks in 2011 and 2012. "I was excited about the opportunity to work with the Greater Wildwood Chamber of Commerce to bring Roger Brooks back to Cape May County," said Wieland. "Tourism in Cape May County has grown through his teachings and guidance." Business seminars throughout the day will focus on practical ideas and business trends from leading experts from Stockton Small Business Development Center and Atlantic Cape Community College. Each seminar will have an emphasis on tourism and the small business. Seminars include such topics as Developing a Marketing Plan to Seize the Revenues, Identifying and Targeting Your Customer in Today's World, Using Data for Decision Making and Marketing Without Money. The Small Business Administration (SBA) and United States Department of Agriculture (USDA) will be on hand to discuss funding, grants and lending options for small businesses. The Summit will be open to businesses, organizations and municipal governments free of charge. Registration is being handled by GWCOC at www.gwcoc.com. During his visit, Brooks is also scheduled to meet with Wildwood Stakeholders from the sponsoring organizations as well as representatives from the City of Wildwood to have a good, old-fashioned, roll-up-your-sleeves work session focused on continuing efforts to revitalize Downtown Wildwood. "We are each committed to doing our part in helping small businesses become successful and providing our tourists with what they want," DuFault said. "The City of Wildwood is looking forward to working with Roger Brooks during his visit in May. We are open to any suggestions or ideas he brings to the table that are in the best interest of our business owners, residents and tourists," stated Wildwood Mayor Ernie Troiano. "Mr. Brooks is coming to Wildwood because he is simply the best at what he does. Our town deserves the best and the local business organizations and the City of Wildwood are committed to giving that to our town." "I attended one of Mr. Brooks' seminars in the Spring of 2016 and I was convinced that he knows what residents, business people and city administrators need to focus on to turn our downtown around," said WBID Board President John Donio. "Since Brooks' first appearance, we have incorporated some of his ideas in Downtown Wildwood including the addition of Byrne Plaza, the incorporation of outdoor seating and helping to enhance the curb appeal of properties in the business community," said Donio. "Mr. Brooks offers no magic elixir, nor does he promise miracles. He offers common sense solutions to typical issues that face all downtowns and he does it in an entertaining way," Donio added. "I encourage all tourism leaders and business owners to attend this conference. The information that will be presented throughout the day will be invaluable. The timing is perfect to positively impact the 2018 season," Diane Wieland stated. 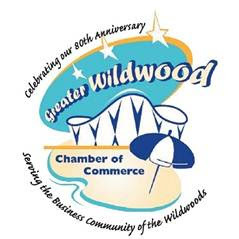 For additional information, contact the Greater Wildwood Chamber of Commerce at 609-729-4000. Roger Brooks and the Destination Development International (DDI) Team have worked with over 1,000 communities around the world for 36 years. Roger's passion and mission are all about making places better, and his enthusiasm is contagious. He is an expert at empowering champions and igniting communities to work together to make a difference.